I have been playing football and volunteering through SALT Academy for the past three years, since I was thirteen years old. 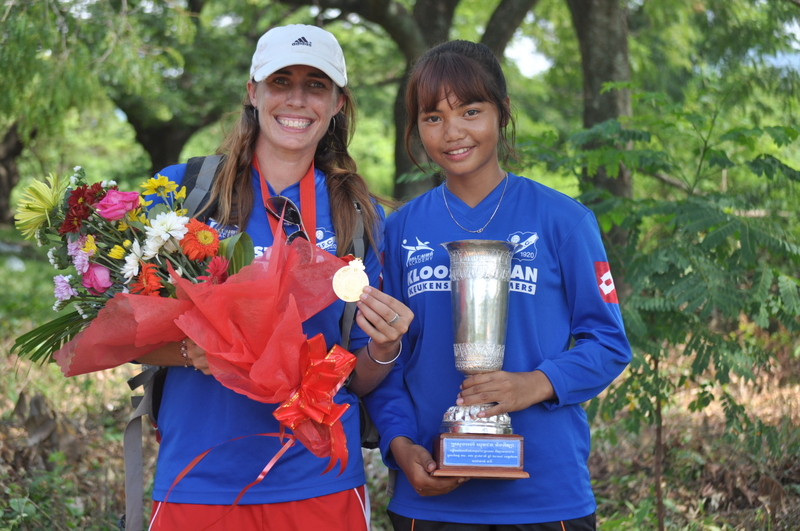 I coach girls’ football teams as well as teach English to many of the girls that are unable to attend school because of the poverty of their families. I weekly teach two football teams, each team two times per week, and practice five times per week. I have also been a part of the Mighty Girls football festivals throughout my community, where we teach life skills, such as human hygiene and ways to combat human trafficking, as well as lessons concerning goal setting. 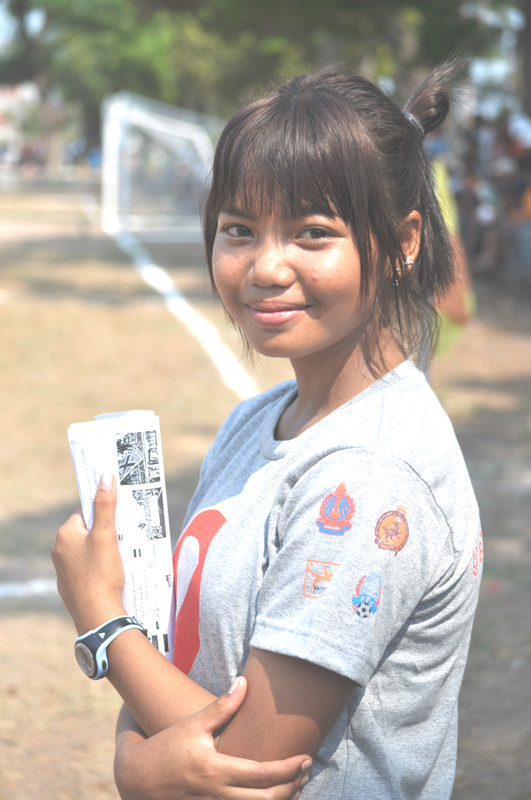 When Cambodia celebrates holidays for women, we teach specific classes geared towards girls’ issues. Many of these events are far in the country, so we have the opportunity to invite the girls to play football and attend school at SALT Academy if they do not have the chance otherwise. Through the Asian Girl Campaign, I would be able to show many in my country that girls can travel abroad and succeed in education and sports. I also want to spread awareness of trafficking for work and early marriage in Cambodia. I want to be a strong role model for other girls, showing them they have rights and can still study without early marriages. Girls have just as much of a right to have a successful career as men. Since I am an experienced football coach, I am good at communicating new skills and leading others. I have experience teaching at our football festivals on issues such as self-defense, personal hygiene, girls’ rights, drug abuse prevention, and HIV/AIDS awareness. 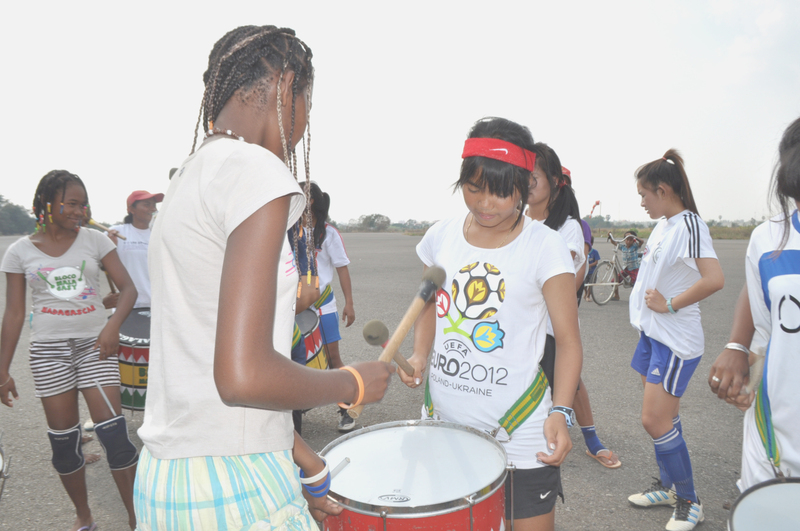 Before SALT Academy began, most girls did not play football in Cambodia, or even know what it was for that matter. People assumed that boys were the ones who played sports and could continue in school. Little by little, I am proud to say this is changing in Cambodia.